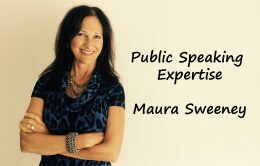 With decades of experience holding the microphone, Maura Sweeney has developed a coveted skill set as an accomplished public speaker, sought after media guest, seasoned workshop leader and polished interviewer. 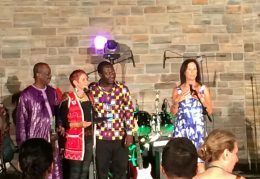 Maura’s diverse resume chronicles her addressing business, civic, volunteer and leadership groups as well as incarcerated teens and university and graduate school students on American and international campuses. Please visit both Maura’s Media Page and the Public Speaking Page on her web site to witness first hand the breadth of her media appearances and public speaking engagements. For public speaking engagements hosted more than 100 miles from her Clearwater, FL home, Maura Sweeney requests the following confirmation for domestic or international travel emailed to her at maura@maura4u.com. Round trip eTicket from Tampa, FL or TPA to arrive at destination city the afternoon before event. Round trip transfer (taxi or limo) from airport to hotel. Round trip transfer from hotel to event. Confirmation in a non-smoking room at a 4 star hotel. Meal voucher(s) during her stay at hotel or nearby restaurant. For public speaking engagements hosted more than 50 miles, but less than 100 miles from her Clearwater, FL home, Maura Sweeney requests the following emailed to her at maura@maura4u.com . Confirmation for one night in a non-smoking room at a 3 star hotel with the date to be determined by the actual time she speaks. Namely, the time of her presentation will determine whether she will stay at the hotel the night before or the day of her speaking engagement. Exact address to the location of event & a contact cell number. Meal voucher(s) at hotel or nearby restaurant if she stays overnight. 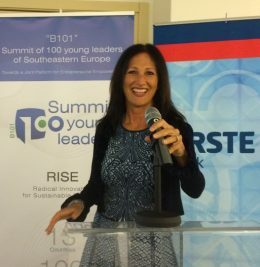 Maura Sweeney has spoken at the following universities, US Embassy American Corners, business workshops and leadership conferences on topics ranging from Leadership, Influence, Self Growth and Personal Branding. Any press release, newsletter, email, web site or social media mention of the event, so that Maura can share on her platforms? Will media (radio, television or print) be involved? What should be the length of Maura’s presentation? How many sessions or presentations is Maura expected to deliver? Any topics, politics or people Maura should avoid mentioning? Names & titles of organizers, honorees or key participants. Will Maura be eating lunch or dinner with any of the organizers? If so, please provide names and titles. What are the demographics of attendees; i.e. gender representation, age range, common titles/occupations, etc.? What is the approximate average age of attendees? What is the approximate size of audience? What are the professional backgrounds of the attendees?